Modern Siberia has arrived, embracing culinary flourishes from as far afield as France. Essentials discovers one of a new breed in Siberia’s capital city, Novosibirsk. 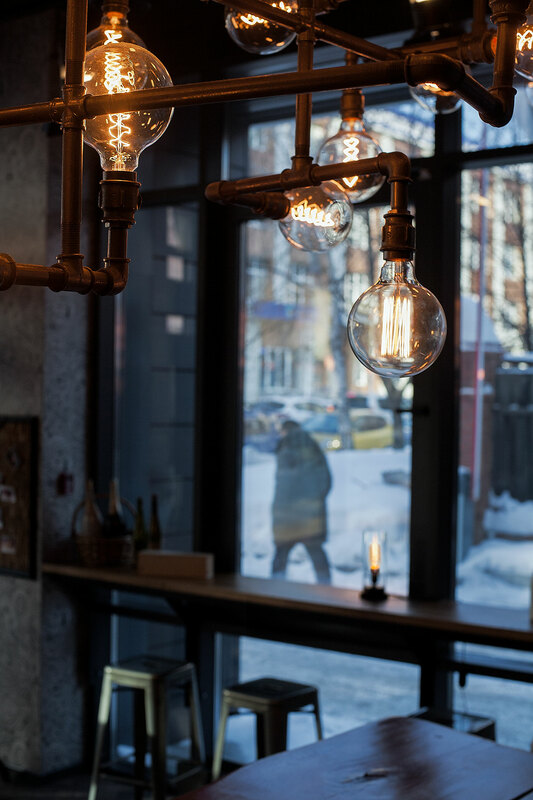 Pardon My French, a wine bar located in Siberia’s bustling industrial hub, Novosibirsk, is a positive light, a beacon of civilised modern-world creativity and style. But for chef and owner François Fournier it didn’t come easy. Launching a French-inspired wine bar serving modernised Russian classics alongside wines from around the globe demanded energy and determination. But François showed anything is possible and locals are lining up for more. 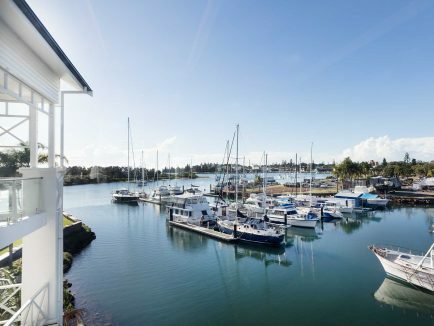 Utter the word Siberia among most Aussies and they’ll inevitably conjure up fearful thoughts of gulags, salt mines and vast open plains blasted by deathly ultra-freezing temperatures. While the terrifying days of the Stalinist regime are well behind us, Siberia does ice over in winter with Arctic winds cooling it to anywhere between -30 and -60 degrees celsius. Now freely open to tourists, Siberia might well represent one of the very last wild and adventurous travel destinations for Westerners. Braving a recent winter visit, we arrived to relatively tame -31C cold that quickly seeped into our bones – presenting a rather cruel and raw new travel experience. Russian superstition understandably connects this ghastly cold, difficult for most Aussies to fathom, with evil spirits. Protective attire, preferably Russian, is strongly advised. We soon went shopping! Siberia’s capital, Novosibirsk, is home to a host of unique Soviet secrets as well as large war memorials and murals, eclectic art collections and bold and brash architecture. 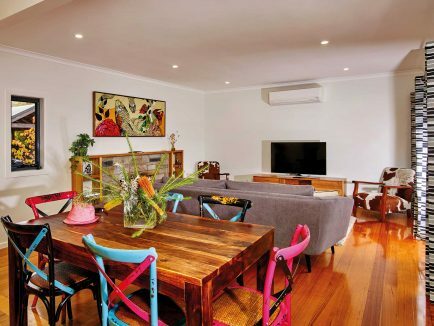 In recent times the city has experienced a modernist revolution of sorts, changing its face and seriously lightening its mood. 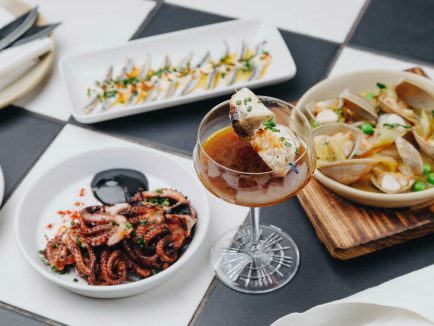 One such modern advance that caught our eye was the quirky and quaint central city wine bar, aptly titled, tongue-in-cheek, Pardon My French, owned and operated by French-born chef François Fournier. Its interior features a massive floor-to-ceiling wine rack housing over 200 wines from 20 countries, including bottles from France, Russia, USA, Chile, Australia and New Zealand, most of which are sourced through dealers in Saint Petersburg. On the shelves we spy zinfandel from the USA, grenache blends from Spain, an excellent selection of complex French whites and some stunning aromatic Italians. Odd, small production Russian ‘garage’ wines feature, served by the glass and priced at about 300 rubles (approx. $7 AUD). Most are fine in quality and represent excellent value for money. For a wine lover, Pardon My French is like an oasis in a vast desert. 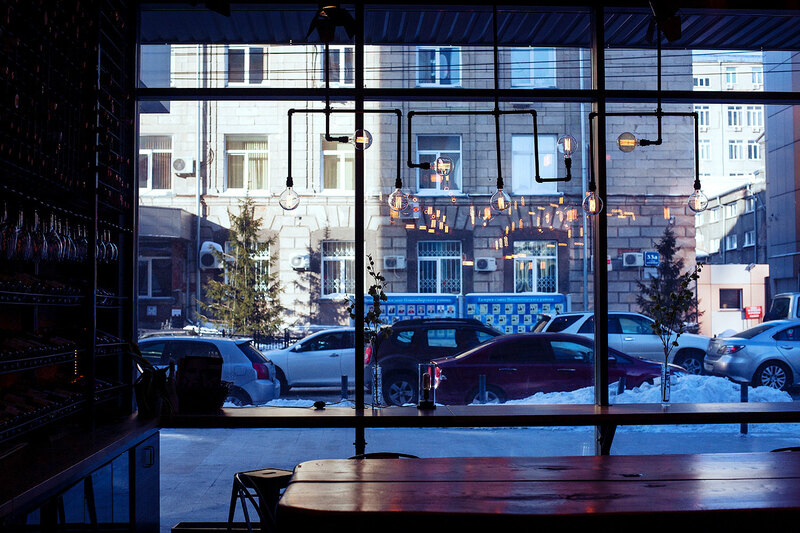 Being a relatively new concept to Novosibirsk, the wine bar attracts a weekend crowd of mostly young, well-dressed females drinking white wine and, during the week, couples looking for a romantic and unique dining experience. 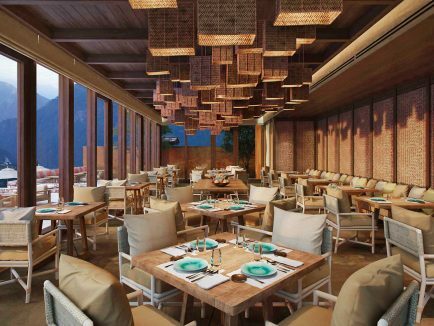 Before marrying a Siberian local, François was a line chef at the Michelin-starred Il Lago restaurant at Geneva’s Four Seasons Hotel. Moving to Siberia with his partner was a challenge, but a positive approach saw him adapt and shine, working as a consultant for four-and-a-half years before going into partnership with a colleague to open Pardon My French. Operating a French wine bar in Siberia presented many challenges. One, François explains, was sourcing quality French cheeses: ‘It’s difficult to say the least, and when they are available they’re hideously expensive – certainly not profitable to put on a Siberian dining menu.’ So François decided to begin developing his own selection of French-inspired cheeses, including a camembert, hard and soft goat’s milk cheeses, a mature cheddar and others blended with herbs such as basil. The resulting collection is delightfully authentic and while maybe not matured in French caves, is texturally brilliant and nicely flavoured. François confesses that to perfect the products he was forced to become a bit obsessive – the classic mad scientist. He bought French bacteria strains via an importer in Moscow and sourced the best local milk possible to begin making and maturing cheeses in small batches using wine fridges housed in his own apartment – ‘Can you imagine the pungent smell, living with it?’ he asks. After several months his partner demanded he set up shop elsewhere, so he established a small cheese factory in Novosibirsk. It’s a modest operation but produces enough to sell to other restaurants. We asked François about the complexities of making authentically textured and richly flavoured cheeses in the French style in Siberia’s harsh climate. He explains that early on he had to devote a lot of time to temperature measurements, trials and re-trials. Eventually he hit on a winning cheese maturation formula and began introducing a tasting board to his diners. But to this day not every batch is perfect each and every time. Extreme temperature changes and variants in milk quality can easily spoil a camembert, leaving the final product either not firm enough or lacking in flavour – or both. But rather than discard it François has crafted a cream camembert dish, a deliciously light spread that greatly enhances a failed cheese wheel. It’s a light and very neat little starter served with a house-baked crunchy roll. The cheese is whipped and blended with cream, truffle oil and olive oil, then mustard seeds are added for texture and taste. It’s a simple idea yet speaks volumes of François’ inventive genius. As we talk, other French food clichés come to mind. I ask if there might be a Russian equivalent to foie gras, and sure enough, I’m given an answer, as it’s a specialty on the winter menu. Строганина из печени жеребенка (stroganina iz pecheni zherebenka) is a rare delicacy that translates to sliced foal’s liver. François explains that similarly to the way many chefs prepare beef carpaccio, the foal’s liver is frozen then sliced paper-thin to order, thawing instantly at room temperature (thanks to Novosibirsk’s excellent hydronic heating). The liver melts in your mouth at first, but finishes al dente. It tastes of sweet blood – quite metallic with an extremely long final note – and is strictly for the adventurous diner. Beet Salad with house-made goat’s cheese and prosciutto. 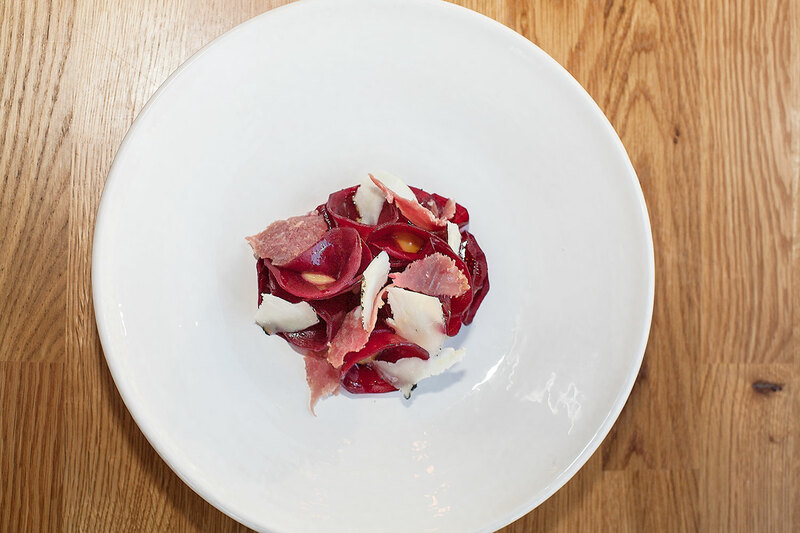 A more easy-going starter is the Beet Salad with house-made goat’s cheese and prosciutto. Using lower-cost coarser and firmer textured, but still extremely flavoursome, Italian prosciutto, this rustic little salad boasts finely balanced flavours and is possibly one of François’ most beautiful offerings. There is simplicity, though not to negate that the beetroot is lovingly prepared. Poached in a delicate mix of red wine, sugar and soft aromatics its texture is al dente and the colour rich, infused with an appealing balance. The dressing of red wine, mustard, truffle oil and balsamic vinegar adds a flavour and punch that sweetens the slightly tangy yet silken-textured cheese. Mid-winter in Siberia this dish seems almost revolutionary. It is a cunning creation, cleverly assembled, and goes down an absolute treat. The beetroot salad is served with a 2015 анкор рено нуар (Encore Pinot Noir) – a ‘garage wine’ as François calls it. A small producer, a client of the restaurant, has provided this drop. Its exact origin is not revealed but it is a beautifully fragrant classic pinot featuring a bright cherry nose – clean smelling and attractive in colour. In the mouth it is grippy, tannic, overlaid by herbaceous notes. While its style seems a little rough and underwhelming at first, with the right accompaniment – for example a slice of tender marinated duck (our next course) – it becomes a playful and energy-packed affair. 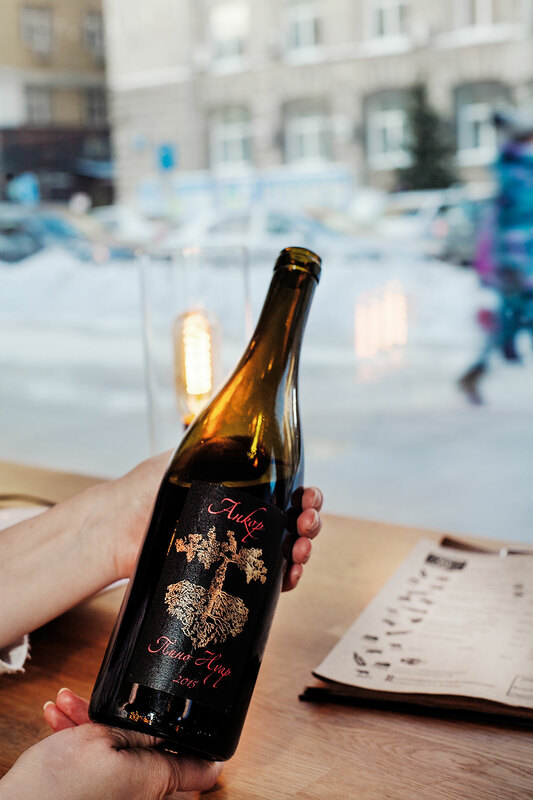 And let’s face it – it’s Russian garage wine… there’s an element of discovery and pleasure to this, with half the fun being admiring its awesome black, red and gold foil label design featuring an illustration of a vine above, and below ground, boasting an extensive root system. The bottle design is like no other – bold and powerful. In the hand, it feels like a celebration of Soviet Communist Russia; epic. Marinated Duck Breast with Blackcurrant: As barn-raised Russian duck doesn’t compare with the French product in flavour or texture, François explains he had to find innovative ways to improve it. One method he’s chosen is to sous vide duck breast that has been marinated in blackcurrants, red wine, cloves, olive oil, from Altai dried clover and rose hip. The result is rare-cooked, thinly sliced duck, a buttery texture that melts in the mouth. The flavour is closer to Russian spiced salo (Slavic spiced and cured pork fat) with an added floral delicacy than duck as we know it, but the result is utterly delightful. I nearly fell off my chair tasting François’ Borscht with Red Wine topped with slow-cooked BBQ pork rib. It’s liquid bliss, rich, silky on the palate, sweet and sour, complex and fragrant. 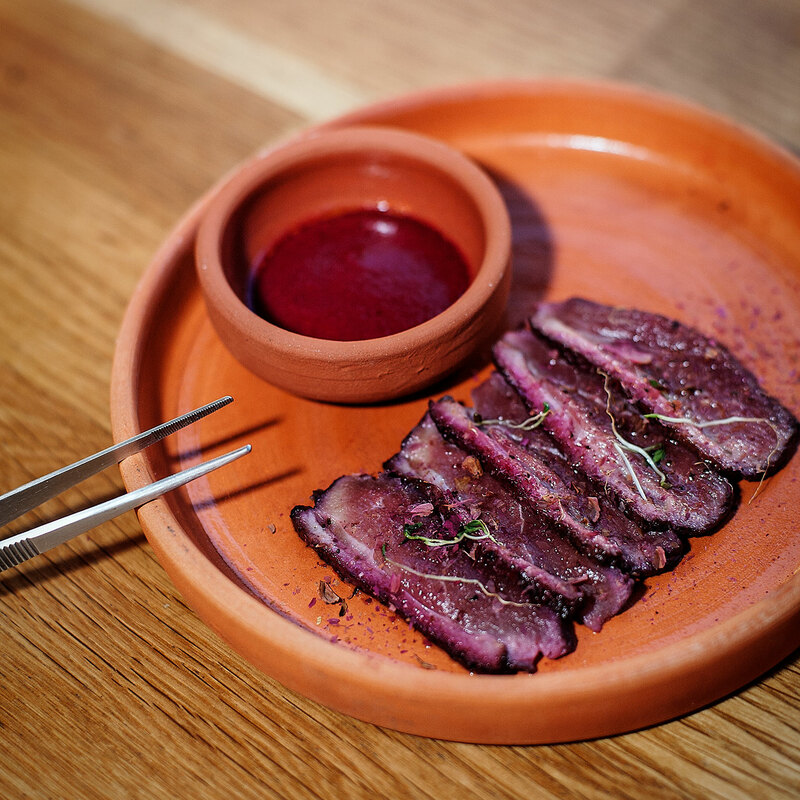 Made using a rich pork bouillon of bacon, pork ribs, red wine and salo the only additional ingredient to tie it to a traditional borscht is pure beetroot juice; no other pickled vegetables, herbs or other adornments confuse its concentrated delightful meaty, winey beetroot focus. Sipping this soup is akin to a floating-in-the-clouds softly cushioned lucid dream. I could bathe in this borscht, or drink it all day. 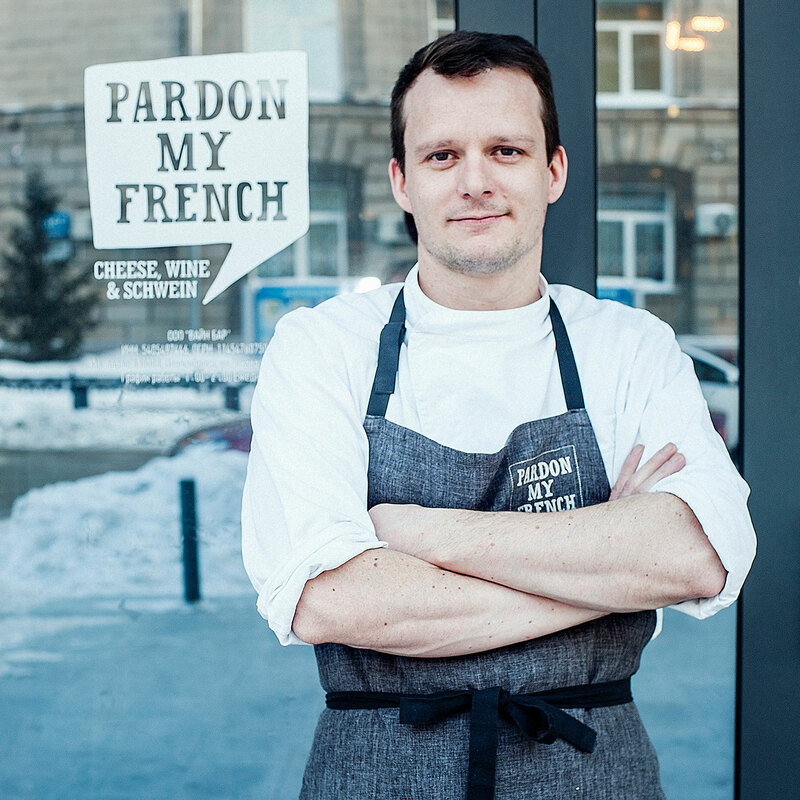 It is French foodie perfection adapted to Russian cuisine and shows exactly why other restaurateurs in Novosibirsk are keeping a keen eye on François’ finely tuned cuisine. The next wine poured is a 2014 Gaï-Kodzor Mourvedre-Syrah. 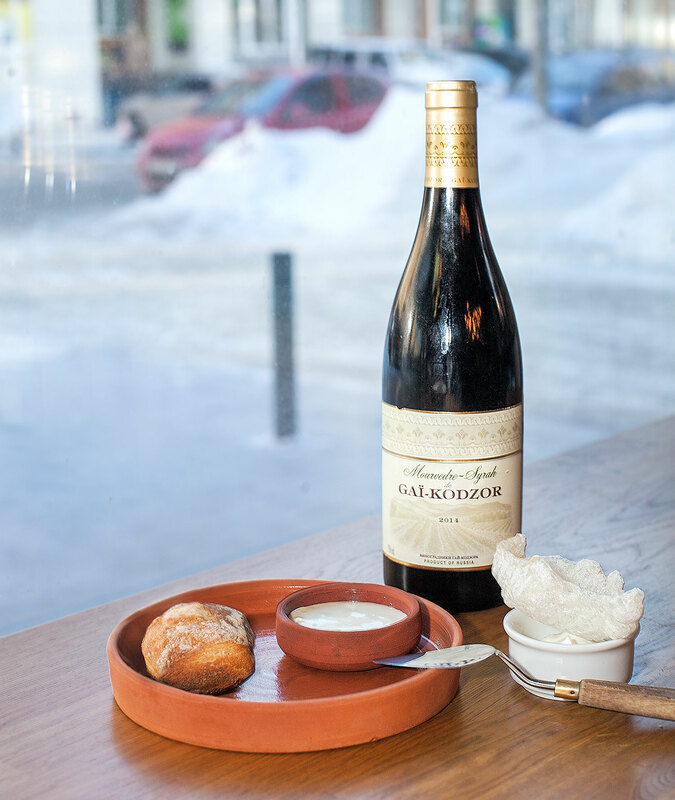 Gaï-Kodzor is a relatively new Russian boutique winery that worked its first vintage in 2008. The vineyards were selected for their premium terroir – rough stony mountain slopes just 5km from the Black Sea near the village of Gaikodzor, close to the Krasnodar wine region – and the maritime influence moderates the otherwise chilly air from the nearby mountains. This small producer is seen by many as the face of a new breed of premium Russian wine producer, a far cry from the days of vast collectives churning out as much mediocre wine as they could from hectares of flat, characterless soil. The Mourvedre-Syrah is a perfected wine, stunning to look at with its deep red and purple-fringed colours. It is medium in weight and showcases delightful candy apple and cherry flavours. 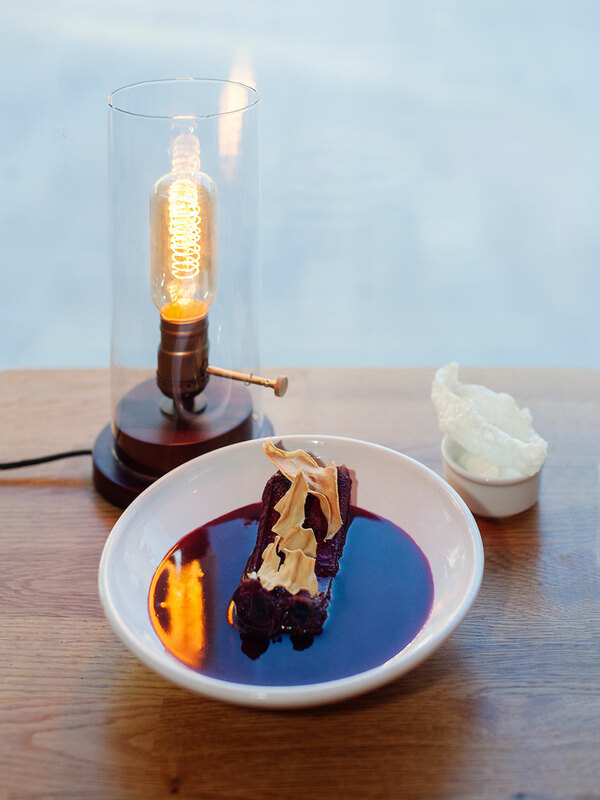 It’s a perfect match to François’ other duck creation: Pan-roasted Duck with the Sagan Dalya (Rhododendron adamsii) jus. Sagan Dalya, a small very beautiful evergreen flowering shrub, grows in the nearby Altai mountains and also around Siberia’s Lake Baikal. The indigenous tribes of Eastern Siberia have long used the herb as a natural medicine to cure heart, nerve and stomach illnesses, as a diuretic and to help lower fever. François offers me an extra portion, the better to taste the jus he makes with this delicate and very intriguing flavour component. The all-important herb, harvested by hand, adds textural tannins and a slight acidity to the jus, made with duck fat, red wine, sugar and garlic. Its aromatics can be described as Christmas tree pine needles and sap combined with rose petals. There’s a sharp herbaceous edge that reminds me a little of coriander seeds. This aromatic jus, the pan-roasted duck and the Gaï-Kodzor wine seal the deal: Pardon My French has no need to excuse itself. François has proudly put Novosibirsk on the world’s culinary stage. We asked François if he misses his native France with its divine rural landscapes, fresh produce and peaceful vistas. Without hesitation he explains that he was going crazy living in a central Novosibirsk apartment until he and his wife opted to resettle in the Sovetskiy district, an hour’s commute south of the city. ‘Here there is a large forest I can explore and the Ob Sea* is nearby. I feel I can truly relax there – it’s a beautiful place to live. *The Novosibirsk Reservoir, a man-made lake about six times the size of Australia’s Lake Hume, is affectionately called the Ob Sea by locals due to its expansive sandy beaches and vast scale. It’s a popular recreational area in summer, when temperatures can reach 30-plus degrees Celsius. No, it’s not always freezing in Siberia! S7 Siberia Airlines flies direct to Novosibirsk from Bangkok. Some airline staff speak English, but we recommend you learn a good collection of essential Russian phrases. Tourists may now travel throughout Siberia, but must provide details of hotel bookings and a travel itinerary when applying for a tourist visa. On arrival in Russia you need to register within 7 days. (Hotels typically complete and post the lengthy documents on your behalf.) Taxis in Siberia can be expensive and very few locals speak English. We recommend you arrange hotel transfers and book independent tour guides before you arrive. Ask your travel agent for further assistance.